Katherine Ruonala, author of Charisma House books Life With the Holy Spirit, Living in the Miraculous and From Wilderness to Wonders has joined the Daystar Television Network lineup with her new show, Katherine Ruonala. Katherine Ruonala began airing Aug. 3 in the United States and Aug. 4 in Ruonala's home country of Australia. The program features Katherine as she shares a practical message of love and hope to the nations. Reaching across denominational walls, her ministry spreads the fires of revival and ignites a fresh passion in the hearts of believers to go deeper in their relationship with God. "Katherine's ministry will be taken to the next level as it reaches new audiences through this platform on Daystar," said Nicole Ponder, publicity manager of Charisma House. "We are thrilled and pray blessings over this exciting season for Katherine Ruonala Ministries." Katherine has been a featured guest on shows such as The 700 Club, Sid Roth's It's Supernatural!, and Daystar's Marcus & Joni. Katherine is well accustomed to the medium of television and in her new program will have the chance to reach a much broader audience than ever before. About Katherine Ruonala: Katherine Ruonala has a prophetic and healing ministry and travels internationally as a conference speaker, bringing a message of love and hope to the nations. Katherine and her husband, Tom, are the founders and senior ministers of Glory City Church Brisbane (Australia) and oversee the International Glory City Church network. Charisma House empowers people through Spirit-inspired resources. It is the leading publisher of diversified Christian resources motivating people to fulfill God's purpose. 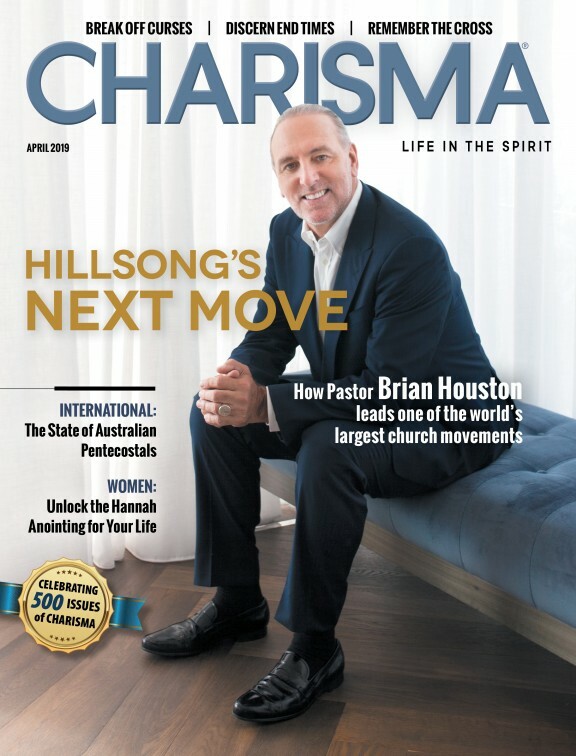 For more than 21 years, Charisma House has published books—including 14 New York Times best-sellers—that challenge, encourage, teach and equip Christians.